All our products, fans, veils, flutters or streamers, are made of 100% real mulberry silk. We do not use any other material. Compared to imitation silk and other chemical fibers, silk is smooth, soft and flexible, have good texture. And it is even nutritious to your skin. Silk veils and fan veils are light weighted and flowing, which imitation silk can never be. Our workers have more than 20 years experience in the hand works, for example hand painting. 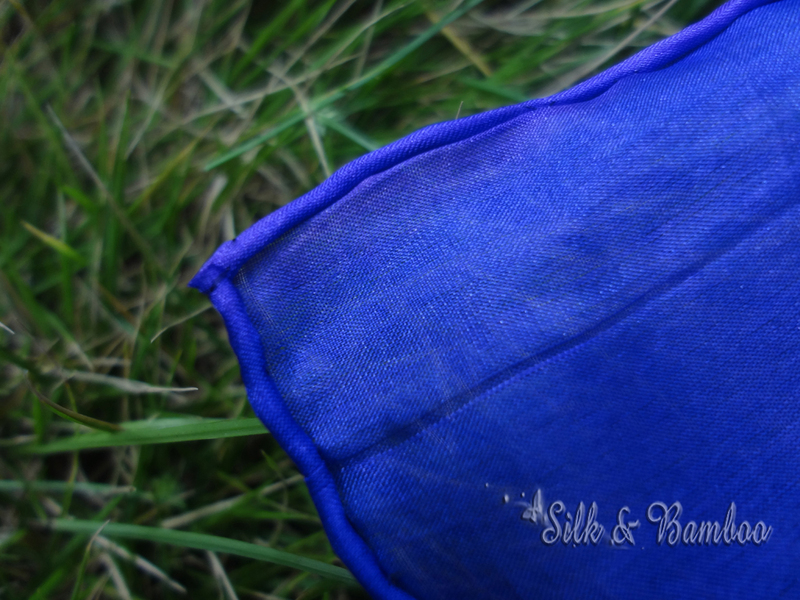 Silk veils' edges are hand rolled. Only in China can you find people who roll the edges of the silk fabric in such a traditional and professional way. And less and less people are willing to do this job because it is very much time consuming, as being done stitch by stitch. Each veil takes at least 30minutes to finish. The famous silk brand Hermès has their silk scarf done in a similar way. Silk-bamboo studio has never ceased creating new and better products. Over the last 3 years our products variety has grown over 3 times. And we are still creating new items. 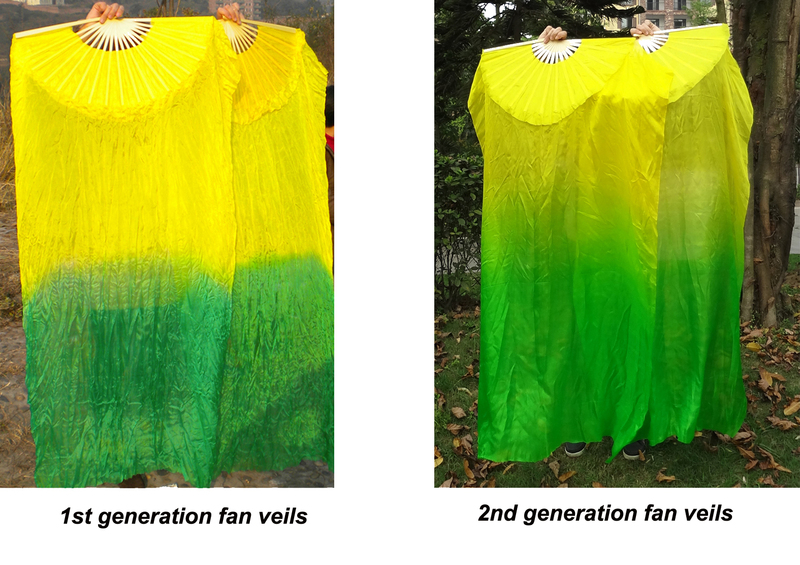 Below is an example of how the 2nd generation yellow-green is different from the first generation. More gradient colors, thicker silk! We have been in this business for over 8years and we will still be at your service as long as I am alive (I am 26). We seek long term business, and only moderate profit to feed our workers who are willing to do the handworks. Now we have long term business partners in many countries. Many people on eBay asked me to make sure whether the price is for 2 pieces or 1, or if it is real silk. They seem cannot believe the price but it is true. Our price is good, because we seek Long term business and moderate profit. Please refer to my ebay profile to see what buyers say about us.